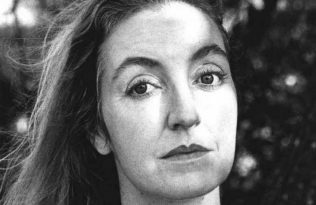 In the latest UC Press podcast, host Chris Gondek talks to author Rebecca Solnit and UC Press Art Director Lia Tjandra about the creation of Infinite City: A San Francisco Atlas and UC Press’s act of faith in taking on the project. In working on the book, Solnit says, she was alarmed to learn that she had only visited about half of San Francisco, despite having lived there since she was 18. 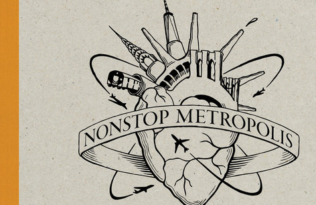 But this experience confirmed her thesis that the potential for exploration in any city is infinite. Tjandra talks about her design process, and the challenge of finding the sweet spot where information and art compliment each other. 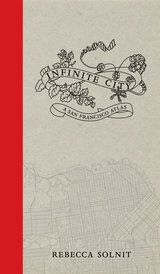 Reading Infinite City, she says, is like falling through Rebecca Solnit’s looking glass—she’ll never see San Francisco the same way again. Read the New York Times’ review of Infinite City, which features the map “400 Years and 500 Evictions”.